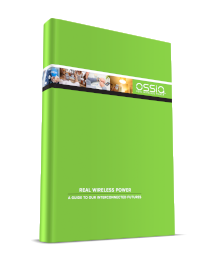 This definitive guide on wireless charging technology was written by Hatem Zeine, Ossia’s Founder and CTO. It is packed with information on the how the technology works, its safety, and how it will shape our future. After reading this guide you will be fully educated on this cutting edge technology, and be left a new expert on the subject. Hatem Zeine, CTO, Chief Scientist, and Founder at Ossia, is an avid inventor and proven technologist with more than two decades of technical development experience and expertise. He now closely manages Ossia’s global team of engineers who are responsible for both the vision and execution of Cota. Hatem is a recognized expert on wireless power and its potential, speaking regularly at events and conferences on innovation and the visionary thinking that drives his entrepreneurial spirit. Hatem holds tens of granted patents globally related to Ossia’s Cota technology and beyond.